VG Motorcycle, a Netherlands' based custom shop, is offering a range of replica, classic Harley-Davidson frames. 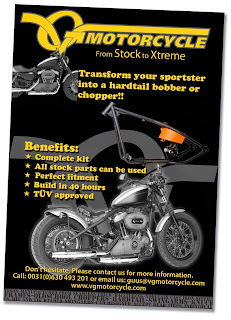 Options include hardtail, swingarm, Softail and old style Softail in straight leg or wishbone style. The frames are built for 1200 Flathead, Knucklehead, Panhead, Shovelhead, Evo or Twin Cam engines with four-, five-, six-speed transmissions. 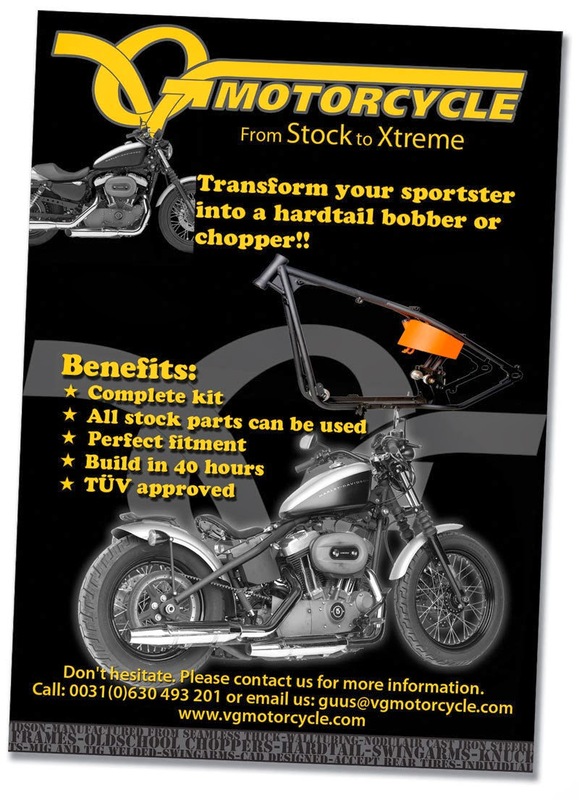 VG Motorcycle also offers a wide range of TüV approved Chopper frames, all of which are manufactured from seamless thick-wall tubing and modular cast iron parts, such as the lugs and joints. Frame restoration is also a service provided by VG Motorcycle. The company says it can take previously chopped or damaged frames and restore them back to original format. It also offers a service to straighten and repair all Harley frames from '36 to '12 to original specifications.